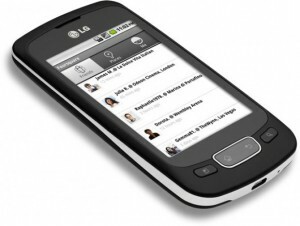 Ever since it has been launched, LG Optimus One has been making headlines due to its cool features and solid performance. Optimus One is one of the fastest selling handsets in the LG’s history and thanks to strong marketing initiatives undertaken by LG Optimus 1 has recorded high sales figures. Android 2.2 OS platform is the greatest USPs of the phone and the economical price tag associated with it has further fuelled its sales. The first glance of LG Optimus One P500 impressed us and so we decided to review its various aspects. Read below to know more about Optimus One. Opimus 1 has nothing extraordinary to boast about its design and we found the design to be simple. Despite being a budgetary phone, the phone boasts of a solid and robust build with a comfortable grip. The comfortable grip is largely because of the soft-touch material used in making the phone. If you love simple design, then the phone will definitely attract you. The dimensions of Optimus One P500 are 113.5 x 59 x 13.3 mm and the phone is quite light on your pocket, weighing just 129 grams. Optimus One P500 boasts of a 3.2″ TFT capacitive touch screen display, capable of displaying 256K colors of resolution 320×480 pixels. The display is equipped with an accelerometer and proximity sensors. The display of the phone is similar to that several mid ranged Android smartphones and we found the image quality for text and photos quite good. Menu, Back, Home and Search keys are below the display. On the right side of the phone you will find the volume control buttons. We were a little disappointed to find that the phone lacks a trackpad for navigation. LG has taken every care that connectivity remains robust with Optimus one. The phone supports both 2G (GSM 850 / 900 / 1800 / 1900) and 3G (HSDPA 900 / 2100). The phone also supports GPS, Wi-Fi 802.11b/g and Bluetooth 2.1 with A2DP profile. We did not feel any problems regarding the call quality. When it comes to messaging, Optimus 1 comes with usual MMS, SMS, and e-mail applications. We found that the web browser on the phone is slightly sluggish can get really slow at times. This can be a little annoying if you are net addict. 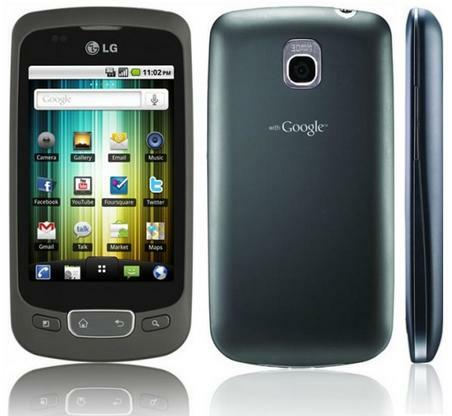 LG Optimus One is equipped with a stereo FM radio and the music player is also very good supporting music formats. Be careful if you wish to listen to music through headphone as the sound can go really loud. The loudspeaker of the phone is also pretty loud offering minimum distortions. The phone is also capable of playing DivX and Xvid files. Optimus 1 is equipped with a 3.15 mega-pixel camera, which is capable of clicking pictures of 2048×1536 pixels resolution. During daylight we found the camera to perform quite well, but since it lacks flash, the performance dipped during dim light. The camera is equipped with Geo-tagging and smile detection facilities. You can record videos at 18 fps. Optimus 1 comes with standard accessories such as transceiver unit, standard battery, charger set, headset and manual. The phone is powered by a standard 1500mAh battery which offers a talk-time of 8 hours when the phone is operated on 2G and 6 hours when operated on 3G. The phone offers a stand-by time up to 700 hours when operated on 2G and 550 hours when the phone is operated on 3G. The phone is priced at $ 350 approx in USA, while in the UK it is priced at £247. In India, the phone is priced at Rs 12,000 . LG Optimus One is one of the powerful Android devices available in the market and if you are looking for Android experience then the phone is the one for you. At a cost effective price point, the phone will enrich your Android experience. I really like the phone simple looks and features, yet Iam confused why most of the phone does not provide flash for camera.